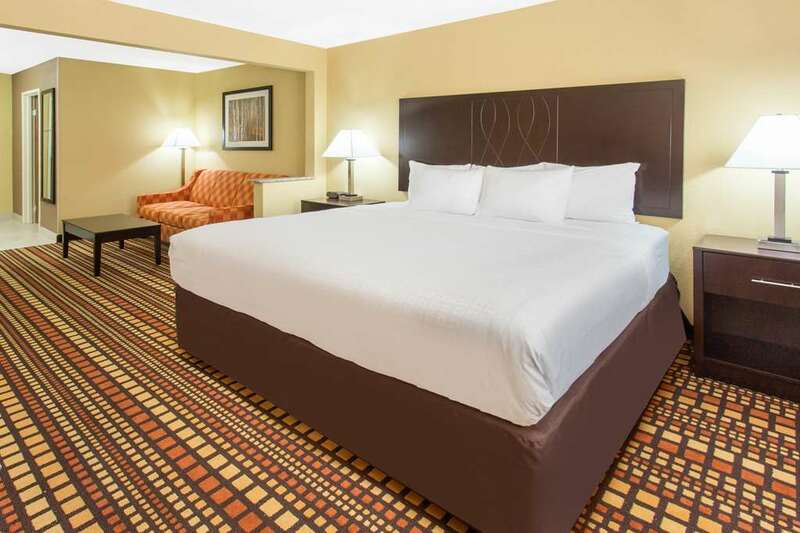 Have a comfortable Quad City stay at our Days Inn and Suites Davenport East hotel near Rock Island and riverboat casinos on the Mississippi River. Located halfway between Chicago and Des Moines just off Interstate 74, our newly remodeled, 100% smoke free hotel in Davenport offers an indoor pool, whirlpool and fitness center, as well as other comfortable accommodations. Enjoy in-room amenities like cozy pillow-top mattresses, refrigerators, microwaves and free Wi-Fi Internet access so you can keep in touch with family and friends back home. Book a suite with a sleeper sofa for additional comfort. We offer extended-stay rates and guest laundry facilities if you are going to be with us for a spell. Handicapped-accessible rooms are available at our pet-friendly hotel in Davenport, IA, and find free parking for your bus, truck or RV. After a refreshing night of rest, enjoy free Daybreak continental breakfast to start your day right.